A new world came into being a little over eighty years ago. It formed in the mind of an English scholar, a world with a vivid geography that was populated by a plethora of men, elves, dwarfs, orcs, goblins, dragons, and hobbits. It was a fully realized world with a multitude of unique languages, creation myths, and a long history of wars, strife and horror. At other times it was a world of stunning beauty. I read The Hobbit and the Lord of the Rings by J.R.R. Tolkien as a teenager, and the world revealed in the pages of those books was as vivid in my own mind as the real world I lived in. From other angles, the summit crater of Ruapahu is clearly seen. A lot of it is missing. Over the years I could relate the places I had seen in my travels with the geography of Middle Earth. It wasn't hard to see the eastern rampart of the Sierra Nevada near Lone Pine as the mountains of Mordor, or the volcanoes of the Cascades as the Lonely Mountain of Erebor. But Middle Earth really was unique. I knew of no setting on the planet that could really serve as a stand-in for the product of Tolkien's imagination. It is no surprise that it took three quarters of a century to bring the complete Rings trilogy and the Hobbit to the big screen, given the technological hurdles of creating an entire world on film pretty much from scratch. But under the direction of Peter Jackson and a host of others (I sat through the entire credits today at the movie), the world was realized in a total of six movies, the Lord of the Rings trilogy, and The Hobbit broken into thirds. One of the amazing things about Jackson's accomplishment is that he managed to find a fully realized Middle-Earth right here on our own planet: the islands of New Zealand. 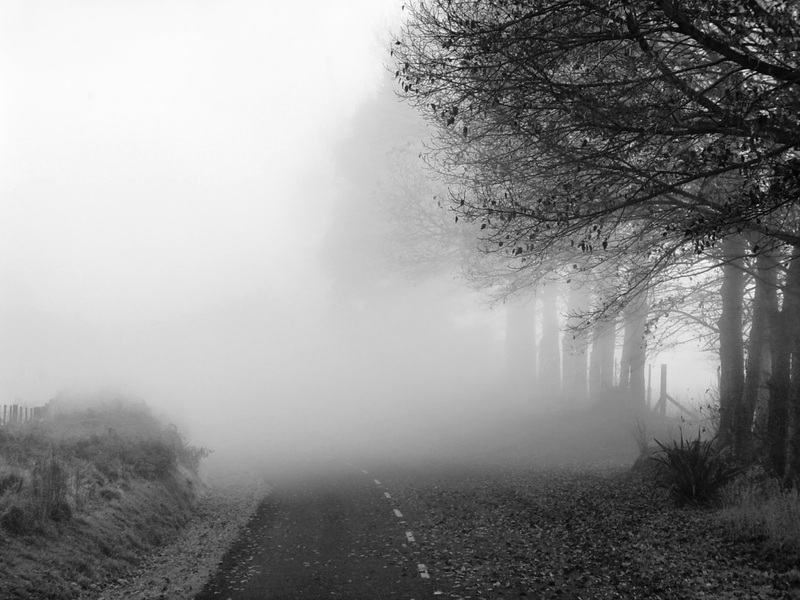 A foggy road between Rotorua and Wellington, the closest we came to the filming site of Hobbiton on our trip. I have found that I can be caught up in the plot of a good movie without losing sight of the choices the directors made for their filming locations. Sometimes it is the recognition of places I know well, which was the case when I watched Wild a few weeks ago. At other times, I am taking in a new landscape, places I have never seen for myself, and wondering where they were filming. And wondering about the underlying geology. In the Tolkien movies, it has mostly been the latter, but I did have one precious opportunity to see parts of the islands of New Zealand, back in 2005. My students and I spent four days on the North Island, and two days on the South Island. It was rushed, we missed many localities I would have liked to have visited, but it was spectacular, and indeed was one of the great journeys of my life. Tree ferns on the North Island: Echos of the Gondwana flora. New Zealand is indeed a world apart. 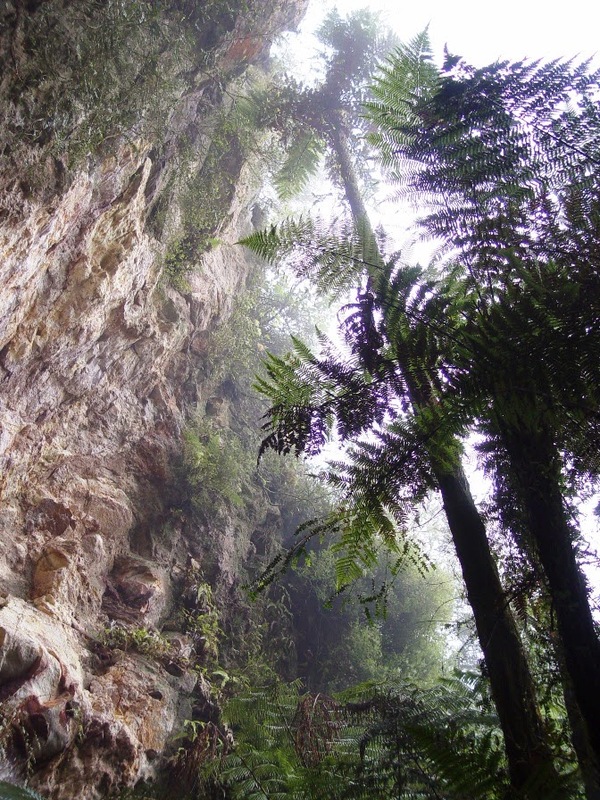 It was part of Australia until around eighty million years ago, but it broke away and has been isolated ever since. The non-avian dinosaurs were extirpated here during the great extinction at the end of the Cretaceous Period, and what mammals were present were too small or rare to dominate the ecosystem. 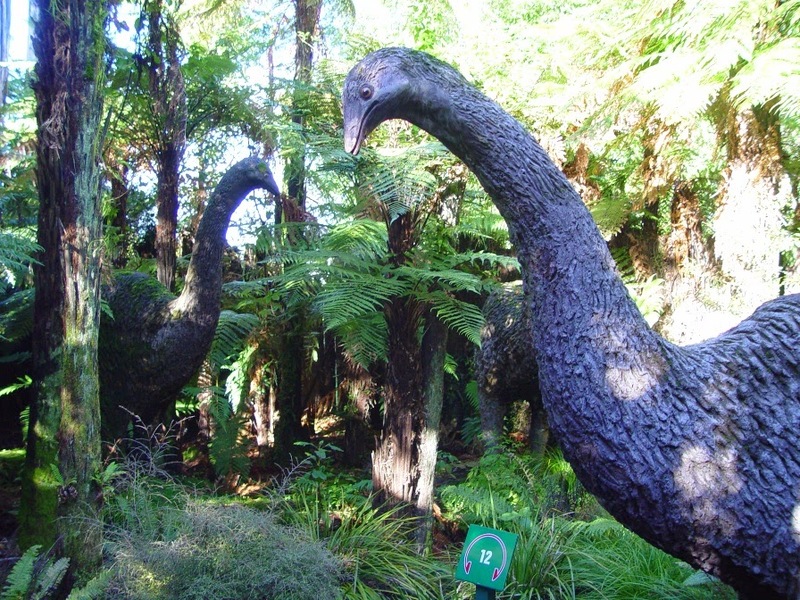 The islands of New Zealand became a kingdom of the birds. Many of the larger birds, having no natural enemies besides themselves, evolved away from flight and became surface dwellers. The dominance of the birds ended when humans arrived on the islands around 800 years ago, and in many ways New Zealand came to resemble the rest of the world, with farms and cities, and grazing sheep and cattle. Yes, there were once birds this big, only a few centuries ago. The islands of New Zealand are about two-thirds the size of California, and like California the diversity of the landscape is tied to plate tectonics. New Zealand is influenced by convergence of the Australian and Pacific plates, but some areas of the islands are stretching (extending) and others, primarily along the Alpine Fault, are sliding laterally (much like California's San Andreas). As a consequence, the islands have a diverse collection of volcanoes and calderas, a high alpine mountain range, active faults, and glaciers. Given the low density of the population of the islands, a filmmaker has plenty of choices for wilderness locales in which to place their orc armies, wizard castles, and hobbit villages (Middle-Earth always struck me as a rather wilderness world with only a few outposts of civilization). 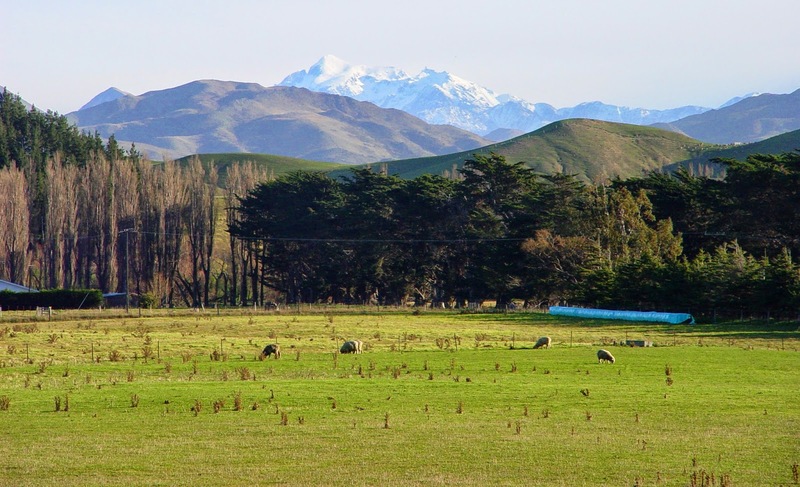 The north end of the Kaikoura Range on the South Island, very high and rugged, but less known than the Southern Alps. My greatest disappointment about my trip to New Zealand was the fact that I didn't get to see the Southern Alps up close. The mountains made for some of the most memorable scenes in the Tolkien movies, including the opening sequence of The Two Towers, and lighting of the beacons in The Return of the King. 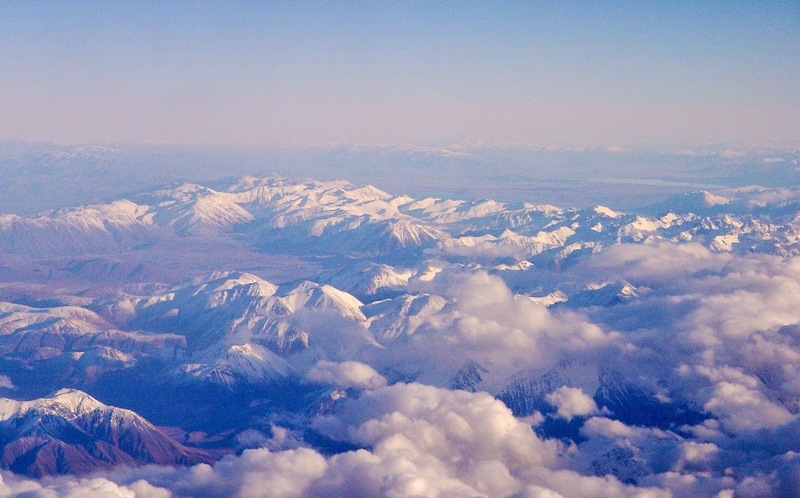 They could be seen in the far distance while we were in Christchurch, and they were briefly visible as we flew over them on the way to Australia, but that was it. I dearly wanted to see them up close, but that will have to come at another time. So, to Peter Jackson and Fran Walsh and all of the others involved in the production of the movies, I want to say thank you for your vivid imagining of Middle Earth, and your meticulous and careful selection of spectacular filming locales. It added a lot to my enjoyment of the movie, and makes up for your occasional moments of overdoing the special effects (really, Legolas walking up free-falling boulders like a stairway?). 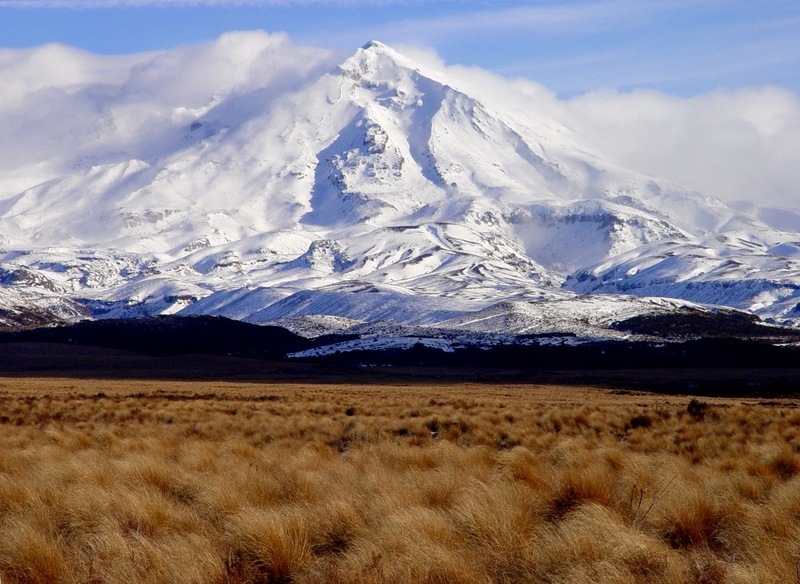 New Zealand is not a large country but has huge diversity of scenery, weather and land differences. From the dense bush and rugged terrain of South Westland and Fiordland. 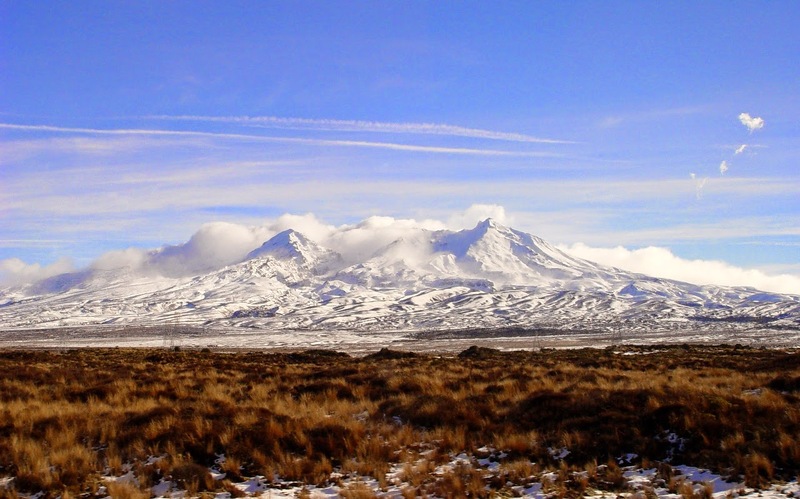 huge deep lakes and towering ice covered mountains, to the flat lands of the Canterbury and the Hauraki plains. 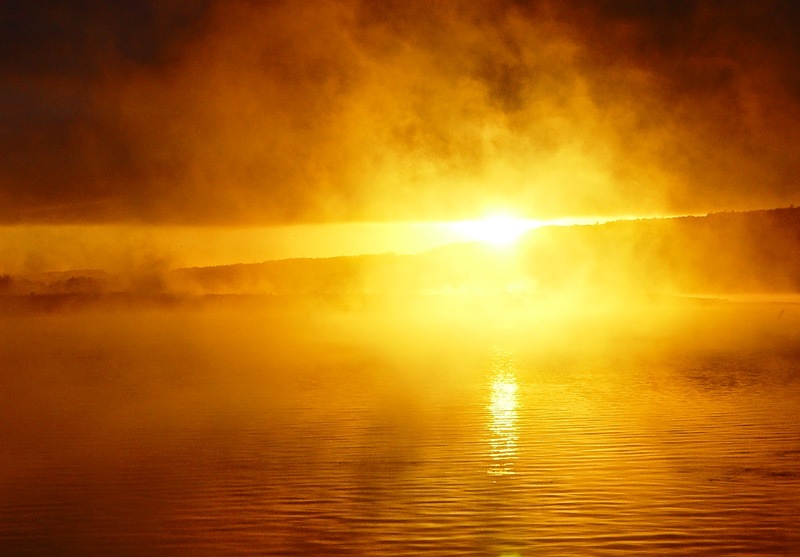 The geothermal areas of Wairaki and Rotorua. Forests of mighty Kauri trees and the breathtaking views of the Winterless North's Bay of Islands. The country has endless white sand beaches and world famous surf, Aquatic reserves offer fabulous scuba diving and there are several international standard ski fields. You missed the southern Alps! At least you have an excuse to go back! They are my favourite part of NZ. I agree with your sentiments. I was a big fan of Lord of the Rings before any of the movies and all the films did the books a good deal of justice (with some licence of course). The setting of New Zealand worked wonderfully. Yes, sorry about the Alps, I suppose I spent so much time there they slipped my memory. I don't think I will ever go back now even though I have family in New Zealand. After living in the tropics for more than ten years and in my 74th year, it would be too difficult for me to acclimatise again. Even after living in Auckland and the Northland for a few years, it was a shock to my system going back to Dunedin. However those memories will always be a part of my life.